Aug 15 (NIA) – The son of former president and opposition parliament member, Namal Rajapakse, was arrested by Sri Lankan investigators on Monday over financial fraud. 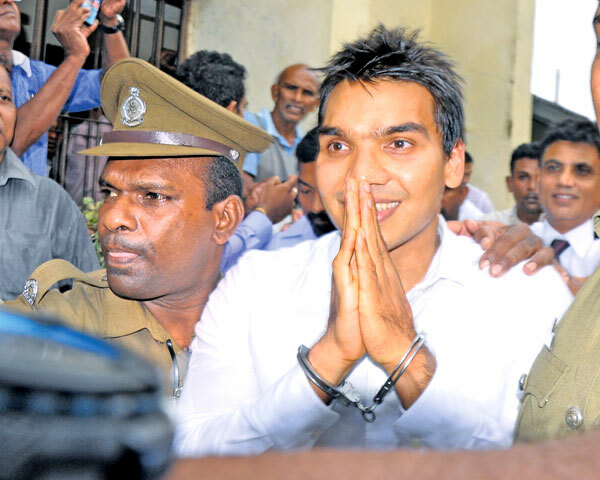 Rajapakse, was arrested by the Financial Crimes Investigations Division and was questioned by investigators for hours. He was alleged to have recorded a statement over the purchase of Hello Corp shares amounting to Rs. 125 million during his father’s regime. He is expected to be produced before a local court later today. Thisis the second time in months that investigators arrested Namal over allegations of fraud. In June, he was arrested over allegations of misplacement of funds amounting to 70 million rupees (480,000 U.S dollars) during his father’s government. Rajapakse is the eldest son of Mahinda Rajapakse. The former first family are all under a corruption probe over allegations of fraud and corruption alleged to have taken place in the Rajapakse government. Mahinda Rajapakse was ousted out of power in the presidential poll in January last year.